I will DRAW your DOOR in POLLY AND THE BLACK INK graphic novel. Thank you so much, Logan Public Library (Iowa) students and staff for making my day. 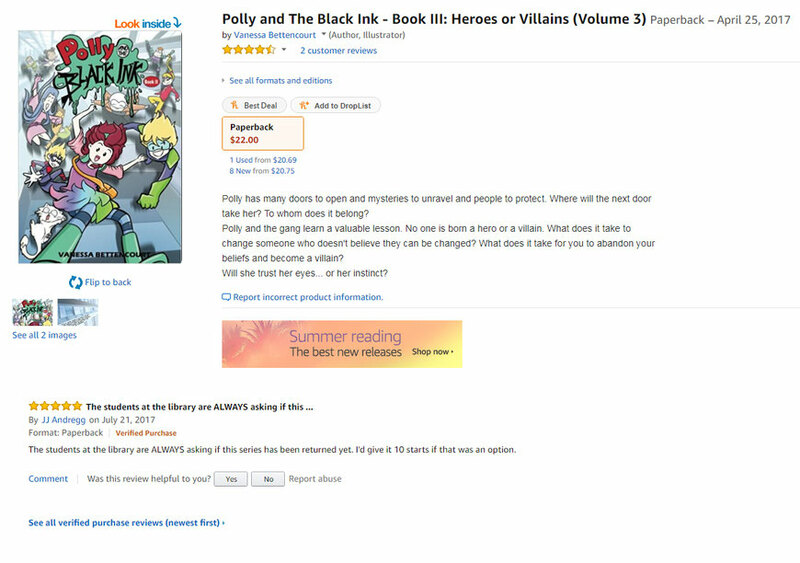 The reviews not only elevate Polly but also inspire me to want to make better and more. I had such a great time Skyping with you the last time and talking about Polly, my process of creation and answering your questions. I will look forward to getting the drawings of your doors (representing your personality, interests and worlds) so I can draw them on Polly and the Black Ink volume V coming out next December. This is valid for any of my readers. ATTENTION: This means you can send me the drawings until the end of October. I'm really excited to see them. I will draw the best imaginary doors as part of the story.